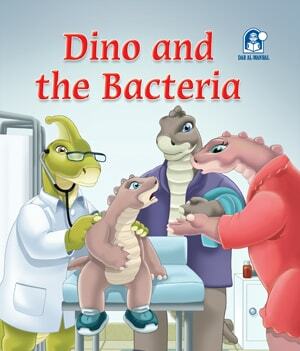 In the story المولود الجديد Dino goes with his friends to play in a mud pond. 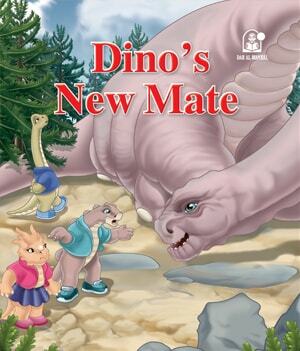 On their way back, Dino calls his friends, Sato and Rita to his home garden, they noticed that Dino is worried because his mother will give birth soon, and he is afraid to be a girl because he wants a brother to play ball with. What will Rita advise him? المولود الجديد is an amazing story from the series مغامرات دينو offered by Dar Al Manhal. 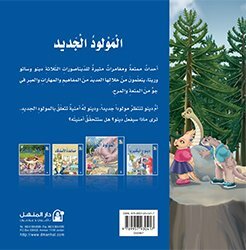 It includes four meaningful short stories for children where they live an adventure with Dino the dinosaur, and his friends.